What is the best supplement for optimum weight gain? I need to have something that can add on the most pounds the quickest. Flavor doesn't matter too much to me, as long as the product is good. Hi there - I would advise a protein drink which also has a large volume of carbs and healthy fats in. The best product I have used for this purpose is Pro Mass by CNP. Flavour was great and it works out at about 450 calories per serving. You can mix it with milk or water. I was using this 2/3 times a day when I was lefting heavy weights and it certainly helped. Whichever product you choose you should ensure that your diet is also geared towards gaining weight, so eating 6/8 times per day, every 3 hours and plenty of complex carbs and healthy fats. As Garthy has said your diet should be the priority when looking to gain weight. You need to be in exceess of calories of about 500 above your Base Metabloic Rate. 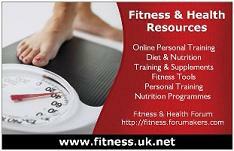 You can workout you BMR by using the tool on the website http://fitness.uk.net/bodyfatcalculator.htm. If then you find it difficult to get in the calories look at a high calorie Meal Replacement. I like to make me own Meal Replacement drink using oats ,milk/water and a quality whey protein powder. Also remember that fats provide 9 calories per gram where as carbohydrates and protein provide 4 calories per gram. Consider increasing helathy fats intake. Oily fish, nuts, avacado and flax seeds are a good source of healthy fats. I am currently using Casilan in which I am getting results as well, but consult your doctor before you use this milk powder.